GS1 Name PROCTER & GAMBLE DISTRIBUTION COMPANY EUROPE N.V.
Aussie Miracle Moist Shampoo For hair that s dry/damaged /a bit unhappy With Queensland Macadamia Nut it sa miracle (well kind of). Not like child birth or a solar eclipse, but our formula, with Australian Queensland Macadamia Nut extract, infuses moisture into dry, damaged hair helping condition and smooth. 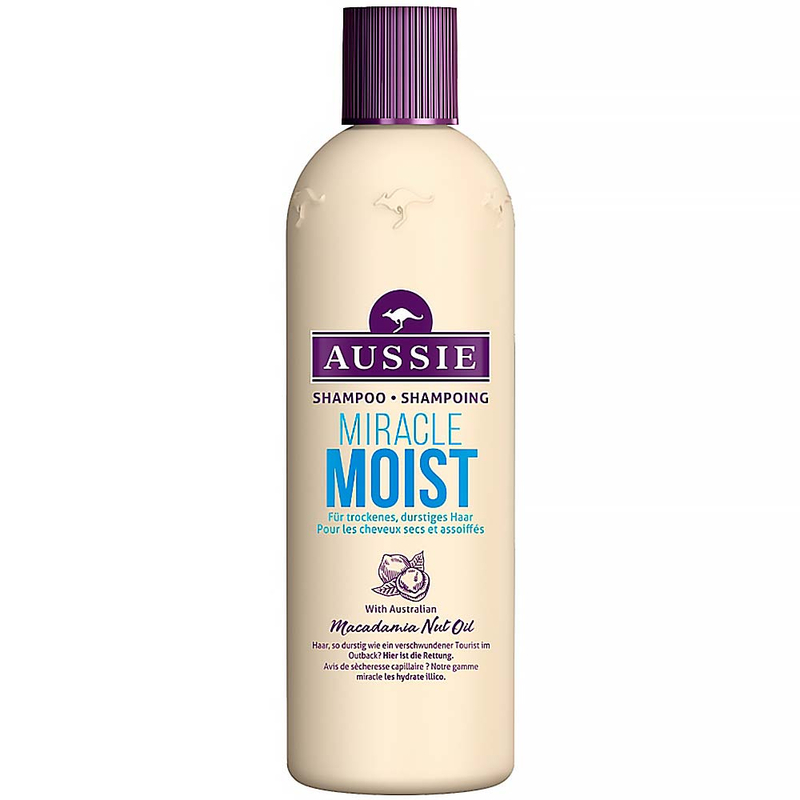 Moisture Infuser The Aussie Philosophy: There s more to life than hair but it sa good place to start Our unique formula.